If you know me, you would know I am the snack queen. Snacks are my fave, and these are no exception! Savoury or sweet, I just love to snack, its even better when they’re actually a lil bit healthier than your normal crisps or chocolate. Well & Truly make snacks that little bit healthier, by not using any additives, preservatives or colours. Also theres no genetically modified food, so you can be sure that what you’re eating is okay for ya body! So, I was kindly sent their Crunchy Cheese Sticks* and Gluten Free Tortilla Chips* to try out. I was so excited by the crunchy cheese sticks because I am quite the cheese fanatic. These were the ones I opened straight away of course, because I couldn’t wait. If any of you remember having ‘Nik Nak’ crisps as a kid, they’re the same shape as those, they’re a nobbly kinda shape (lol). But I cannot tell you how good these taste, I mean if you love cheese like me, then these won’t disappoint. They’re very cheesey and well, highly addictive. Luckily they’re not super bad for you, or else I’d be in trouble. They’re gluten free as well, so for any gluten intolerant readers, don’t worry, you can try them too! As for the tortilla chips, well they’re just as fabulous. Personally, I could just eat these out of the packet with no dips or anything (and trust me, I do), but having these with some guacamole or salsa dip would be just, well delicious! These are also gluten free, so more accessible to a wider audience, which again is great! They also have 40% less fat than your average tortilla chips, so actually you can feel less guilty when you ‘accidentally’ end up eating the whole packet in one sitting. 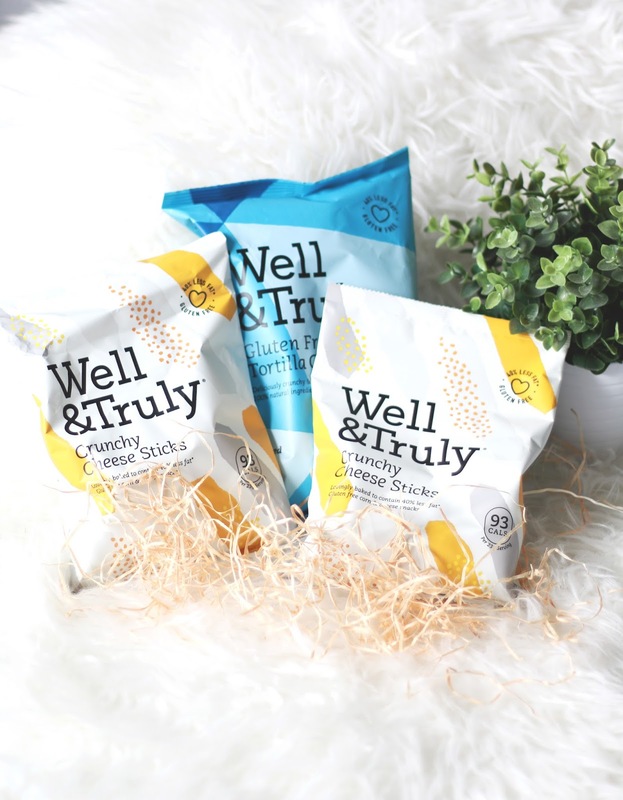 Well & Truly snacks are available buy from Tesco stores, and only come in at around the £2 mark – not too shabby if you ask me! If you’re looking for a tasty, and fairly healthy snack, I would definitely recommend these two!